Summary: The book is about a boy named Craig who after being subject to sheer amounts of social and academic stress, reaches anxiety and depression levels pushing him to a a near suicide scenario. Instead, he checks himself into a mental ward, leading to discoveries about himself and the patients of the ward that help better his perspective on life and how to relax. Eventually, succeeding in getting over his depression and re-integrating back into his normal life. Why I picked it out: The comments and summary on the back were very appealing to me, as well as the cover art. Why did I keep reading: The style of writing is very dialogue and thought based on a first person perspective. You really got into the head of Craig, and the way he judged and analyzed everything. Very intriguing. Also, the amount of comedy in the book turned it into a “non-depressing” book about a depressed guy. Who would I give it to next: A good friend, or anyone that’s curious about depression without wanting to read about tragic cases. Summary: A story about time travel…Oscar, a young 12 year old living in 1914 travels to the future (60 years) and meets his grandniece, Lucy. After they become acquainted, they both strive to fulfill their mission, which is to save Lucy’s Dad by gathering information from both time periods and defeating fate. Why I kept reading it: Many cliffhangers, intricate storyline,easy to visualize and interesting. 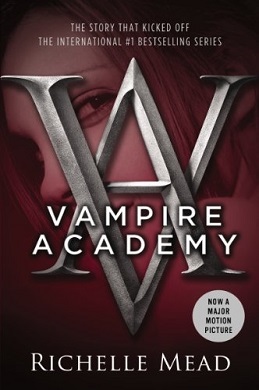 Summary: Vampire Academy is a place where Dhampirs and Moroi(vampires) go to be safe and have a normal life. The Dhampirs are there to train as the guardians for the royal Moroi and the Moroi in return give the Dhampirs a place to live. Rose Hathaway is a Dhampir while her best friend Lissa is a Moroi. Rose must overcome the fact that she is no longer in the outside world and has to protect Lissa. She also finds a love interest that might end up working out but we may never know until the end. Why Ipicked it up: I picked the book up because my friend suggested it to me. Why I kept reading it: I picked the book up because my friend suggested it to me. Who would I give it to next: I would give it to anyone who loves a good vampire book with some troubles and best of all romance. Summary: Dalton Rev is a private detective, who is charged with finding out who is guilty for the murder of Wesley Payne. He navigates the vicious hallways of Salt River High School, learning about a war brewing between the two biggest cliques of the school, and how it can be advantageous to his investigation. Why I picked it up: The book was in the New Books section, where I usually find books to read. Why I kept reading it: This book was hilarious. Not hilariously bad, just hilarious. It was funny, sarcastic, and fast-paced, just the way I like them. Who I would give it to next: Everyone. I’d get as many copies as I could and throw them randomly at everyone I see. Literally.